OPEC and its allies may be rejoicing at their hard-earned efforts to prop up prices, but it has done little to bring a smile on the faces of Canadian oil and gas investors. In fact, they seem to be in a downright foul mood. While the West Texas Intermediate American benchmark is up 1.5 per cent for the year, the S&P Capped Energy Index is down nearly 14 per cent before markets opened on Thursday — the oilpatch has even thumbed its nose at the 18 per cent rally over the past three months, staying virtually flat during that period. But if you are a patient investor, willing to drown out all the noise and volatility, many of these stocks may be ripe for a rebound, according to analysts. Bonavista Energy Corp., which operate primarily in Alberta’s oil and liquids rich natural gas resources, has been the biggest investor disappointment in Canadian oil and gas space to date. The stock is down 53 per cent for the year, and has even shrugged off a 5 per cent jump in oil prices during November, jumping off yet another cliff to fall 19 per cent during the month. RBC Capital Market analyst Michael Harvey offers that the company is “rolling with the punches” as it adapts to lower natural gas prices. On the bright side, Harvey has a price target of $4 for Bonavista, from its current price of $2.28. Not far behind is Peyto Exploration & Dev. Corp, the unconventional natural gas producer in Alberta’s Deep Basin, known for being one of the lowest cost producers in the Canadian shale game, has lost just over half its value for the year, down 51.3 per cent. GMP Securities believes the stock could jump to $25.75 per share, from $15.31 today. Third on the list is Precision Drilling Corp., the oilfield services company, that is active across North America. The company saw a $26.2 million net loss in the third quarter, a country mile better than its $47.3 million loss during the same period last year. Precision stock is down 50.5 per cent year-to-date. Undeterred, Benjamin Owens, analyst at RBC Capital Markets, has a price target of $6 for the driller that’s trading at $3.62. “PD is one of our preferred ways to play a recovery in North American oilfield activity levels due to its high-spec rig fleet and broad geographic footprint,” the analyst said after a meeting with the company chief financial officer Carey Ford on Nov. 29. Crew Energy Inc. operates in Montney, widely seen as a rival to the best shale plays in the United States, but the company has also been a victim of Western Canada’s turbulent natural gas market. 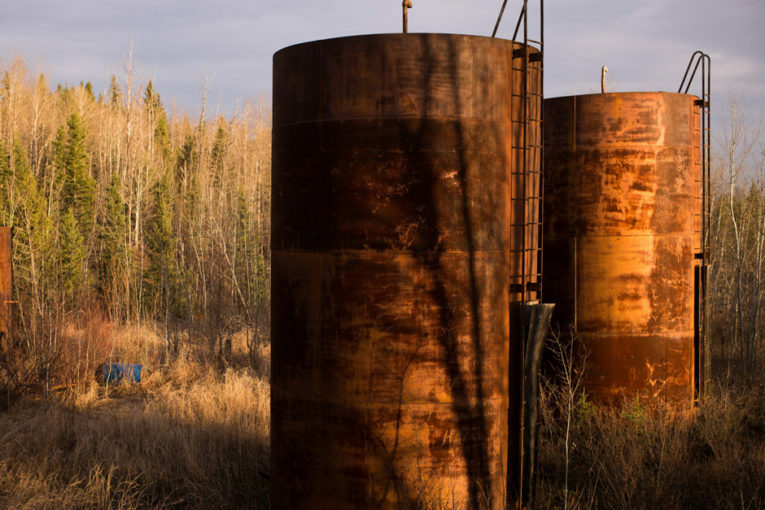 Things are so bad that the company chose to hold back 2,600 barrels of oil equivalent per day during the quarter, or just over 10 per cent of its output, to spare itself from being “exposed to weak Canadian spot pricing,” the company said. And Crew is not hopeful going forward. “Crew anticipates that challenges experienced in the first quarter of 2017 related to services procurement and cost escalation will be encountered again in the first quarter of 2018,” the company said in its third-quarter press release. Crew scrips are down 47.4 per cent for the year. Crescent Point Energy Corp.’s share price has lost 46.9 per cent of its value during the year, underscoring how even the mighty oaks of the oilpatch have been laid low by low prices. The serial acquisitor, once loved by analysts and investors alike, has struggled as its ambitious M&A plans were broadsided by the oil downturn. While RBC Capital has trimmed the company’s medium-term outlook, it expects the stock to jump to $13 from its current level of $9.30, as it believes it has been oversold compared to peers. Birchcliff Energy Ltd, a Western Canadian shale basin company recorded a net loss of $121.7 million in the third quarter of 2017, compared to a net loss of $2.1 million during the same period last year, with its stock deep in the red at 47.6 per cent compared to the start of the year. If commodity prices improve, GMP Energy Securities expects Birchcliff to pump out more than 100,000 boepd, compared to 65,000 in the third quarter, and nearly double its share price to $10 from $5.59 currently. Bonterra Energy Corp. operates in the Pembina Cardium in central Alberta, which has seen its stock plummet just over 46 per cent this year. Net loss in the third quarter was at $3 million, a far better performance compared to the $5.8 million loss during the previous year. GMP has a buy rating with a price target of $21, from its current price of $15.40. A shale gas rig at the Horn River Basin facility. Seven Generations Energy Ltd. may have an outperform rating from RBC Capital Markets, but at the moment it’s among the worst performing energy stocks in the country, down 43.7 per cent for the year. The company has outlined a five-year plan targeting production growth to the 300,000 boepd range by 2022, and aims to invest between $1.675 billion-$1.775 billion next year. RBC expects the stock price to climb to $21 from $17.64, which is albeit a tad lower from the bank’s $22 target previously. The only oilsands company to make the list, MEG Energy Corp. is down 40.9 per cent for the year. It may be unloved, but the company announced improved results, and reduced its 2017 capital program while leaving production guidance unchanged at 81,000 bpd. RBC thinks the stock will outperform and climb to $8, from $5.46. Surge Energy Inc. operates in the conventional basins of Alberta and Saskatchewan. In September the company completed a $37.2 million acquisition of crude oil producing assets in central Alberta, which provides Surge with up to 38 net additional internally estimated low risk, development drilling locations, the company said. Surge’s stock is trading at $1.98, down 39.4 per cent, but GMP Energy believes the stock is worth $3. “We have taken down our target price slightly but are still positive on the company given its low-risk inventory and attractive asset base,” Stacey McDonald, analyst at GMP said in Nov.16 note.